FCG HOLDING Experience. Quality. Reliability. FCG OPS International Trip Support and Dispatch. FBO RIGA A full-service Fixed Base Operator. JET TRAVEL Crew Travel Agency. FCG ATOM Unique IT platform for business aviation. FCG AD Expert in design and development of business aviation infrastructure. Flight Consulting Group has more than 18 years of experience in the business aviation area and provides comprehensive solutions for flight support, business jet ground handling, organising private charters, buying and selling aircraft, and aviation consulting. We pay special attention to the quality of our services, making our customers’ wishes and needs our top priority! More than 110 000 flights served in 140 countries and 2 600 airports. More than 90 business jets on permanent support. More than 70 top-ranked specialists in the holding. by Sapphire Pegasus Award. First FBO in the Baltic States certified by IS-BAH. Tallinn Airport is one of 34 airports where the company provides ground handling services and has own ramp agents. Is an exclusive and the only commercial helicopter service provider in the Baltics: Latvia, Lithuania, Estonia. The ‘Flight Consulting Group’ Holding Company was established in 2000 and provides comprehensive solutions in the business aviation area. By investing in our subsidiary companies and assisting them in the planning, financing, information technology and legal matters, Flight Consulting Group is consistently expanding its service portfolio meeting the current needs of the customers. Our headquarters are located in Riga, Latvia (EU). DEVELOPMENT OF SOFTWARE FOR OCCS, FBOS, AND THEIR CUSTOMERS. 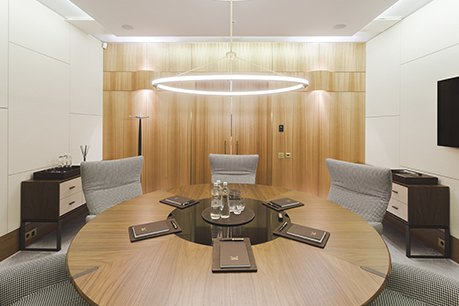 Flight Consulting Group owns the ultra-modern Business Aviation Center FBO RIGA at the Riga International Airport. The official opening of Business Aviation Center FBO RIGA – which is one of the largest business aviation centers in the European Union and the largest in the Baltics, and which meets the highest standards of safety and customer service quality – took place in September 2015. A team of professionals – Baltic Business Aviation Center, provides VIP charter organization all over the world: from Europe to Asia and from Australia to America. With rich experience and knowledge of the nuances, the company is able to make sure that any of the customer's expectations are met at the highest quality. The current total staff of the holding and the subsidiaries amounts to 70 top-ranked specialists. Over its successful years of work, Flight Consulting Group has proven itself a reliable and dedicated partner. Our holding is the developer of the unique ATOM (Air Traffic Order Management) IT platform, which integrates the functionality of different systems and allows automation of key business processes and connecting together the work of all departments of the holding and its partners and customers. ATOM is not just is not just state-of-the-art IT platform – it is the philosophy, working principles, and know-how based on Flight Consulting Group’s many years of experience. 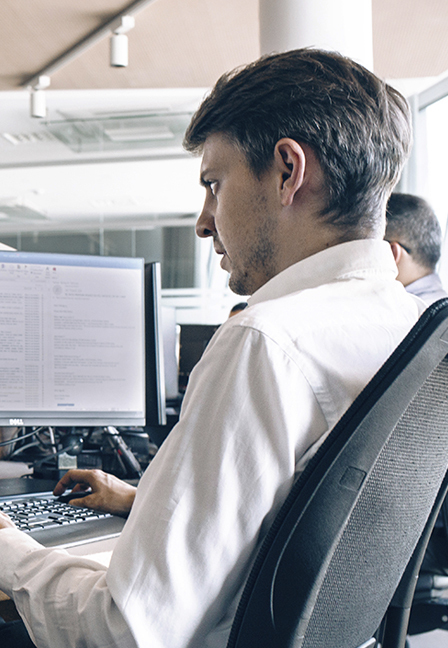 Today, not only all of the holding's subsidiaries but also several dozens of our customers around the world are connected to our system. Flight Consulting Group’s main advantages are our highest-quality services, close attention to all the details and wishes of our customers, as well as our team of top professionals. Our mission is to become one of the biggest players on the market and provide integrated, high-quality, and cost-effective solutions in the business aviation area while furthering our sustainable development and improvements. Our vision is to reach a global scale in business aviation and become a competent and reliable partner for other market players. We seek to become one of the largest players on the business aviation market and provide services of the highest quality, meeting all the needs and wishes of our customers and partners. EBAA is a leading business aviation association in Europe. It takes part in the discussion of legislative and regulatory enactments aimed at solving problems of the sector and aids the promotion of the community as one of the most important to European economic development. The International Air Transport Association (IATA) is an international non-governmental organisation, a key institution in the aviation industry. Its 250 member airline companies perform 84 per cent of all international flights. NBAA is a leading non-profit organisation representing the interests of companies that work in the area of business aviation or use its services. The aim of the association is to make their businesses more efficient, productive, and successful. RUBAA was established to represent and protect the interests of its members, organise activities for the formation and development of the business aviation market in Russia, as well as the creation of conditions for successful commercial activity of the business aviation market player companies. On 21 July Roman Starkov establishes Flight Consulting Group, a company offering services in international flight support and charter flight management. The company services Latvian, Lithuanian, Estonian, and German operators. The company concludes a contract with the Riga International Airport and starts providing services in handling the airport’s non-scheduled flights. The first around-the-world flight with the Hawker 800 plane is managed. The company is servicing nearly 10 airline companies from different countries on a permanent basis. An international tender is won and an order is received to service a charter programme for 350 flights to Spain with the Il 86 airplane. The company gradually becomes one of the leading service providers in handling international flights across the ex-Soviet territory. The business aviation market develops rapidly, and the number of the company’s customers grows. The concept for a Business Aviation Center at the Riga International Airport is developed, in which the company is going to invest its own funds. The number of flights handled and services by the company exceeds 20,000. Flight Consulting Group services the majority of non-scheduled flights at Riga Airport and dozens of Western- and Eastern-European airline companies. Leonid Gorodnitski becomes a partner of Roman Starkov at one of Flight Consulting Group companies, who was a head of one of the first business aviation airline in the former USSR from 2000 to 2005. As part of the airline a concept the preliminary design of Business Aviation Center in Riga was developed and approved in 2004. 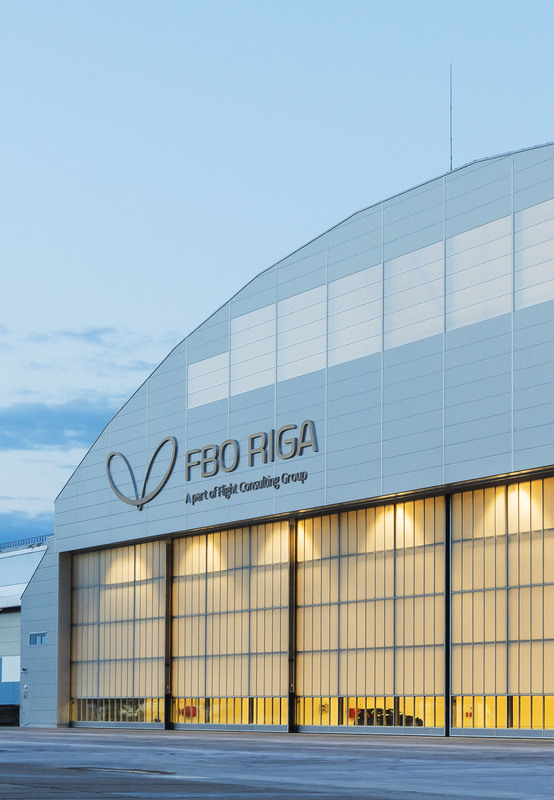 Flight Consulting Group purchases an ex-DHL building at Riga Airport and launches Project FBO (Fixed Base Operator), consisting of a hangar and a business aviation terminal. The company begins providing consulting services in the business aviation area. Several international projects are implemented. Flight Consulting Group expands its range of services in international flight support. The first airplanes are transferred to complete dispatching support by the company. The ground handling business at Riga Airport is transferred to a separate company, FBO RIGA. FBO RIGA opens a Business Aviation Support Center, the first in the Baltics. FCG Holding invites Lufthansa Bombardier Aviation Service Company to Riga and signs a contract for the opening of a technical maintenance station. JET TRAVEL is established, an IATA-certified travel agency specializing in servicing business aviation flight crews across the globe. Riga becomes one of the leading European Business Aviation Centers, at which more than 20 airplanes are based. The number of planes serviced on a permanent basis comes close to 70. The company creates a service network in the Baltic States, Belarus, and Kaliningrad. FCG Aviation Development Company is established, which wins the right to build a new Business Aviation Center at Riga Airport in an open tender. Design of the new FBO RIGA Center begins. The FBO RIGA Center design is approved and construction begins. The modernization of the holding’s automated work system is singled out into a separate direction, and a proprietary software is developed to integrate the functionality of ERP, CRM, flight management, reporting and business analytics – АТОМ (Air Traffic Operation Management). Construction of the new FBO RIGA center is finished and has already opened its doors to customers of Flight Consulting Group Holding. It has become one of the largest centers in Northern and Eastern Europe and the largest center in the Baltics. The current total staff of the holding has more than 70 top-ranked specialists. Over its years of work, Flight Consulting Group has proven itself a reliable and dedicated partner. The cornerstone of Flight Consulting Group’s successful business is a solid team. 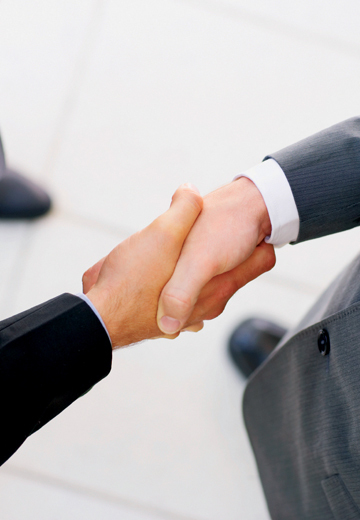 We take care of our employees and support development of their broader personal and professional competencies. Our team is comprised of well-rounded persons. We are all different, and this is precisely what makes our company dynamic, open-minded, and success-oriented. The secret to the high efficiency of our work is the synergy within our team. Every employee has an important place in the organizational structure, and we all think as one. We take responsibility in everything we do, be it our job tasks or the attitude to our customers, our employees, and ourselves. We treat our customers and ourselves with respect and trust. It is one of the key features of our business. We are always ready for a challenge and committed to taking on complicated tasks. This enables us to continue our professional development and perfection. This is how we live. This is how we feel. This is how we work. May 21-23 this year, Geneva will be hosting EBACE — a business aviation exhibition where Flight Consulting Group has been participating in since 2002. It will be the 7th time that holding presents its own stand at this largest professional event in Europe. FCG OPS, a part of the aviation holding company Flight Consulting Group, opens a Briefing facility for business aviation crews at Tallinn International Airport. On April the 8th, in Prague, the Czech Republic, the Sapphire Pegasus Business Aviation Award ceremony took place. The ceremony was held under a prestigious gala-dinner at Boscolo Hotel restaurant. The Award is organized under support of the Central European Private Aviation Association CEPA, the Russian United Business Aviation Association RUBAA, the European Business Aviation Association EBAA. The selection of nominates was totally open: in patterns of the announced categories, any corresponding company could participate. The winners were specified by a competent jury and on-line voting on the award dedicated web site. FBO RIGA became an absolute leader in Handler / service Provider / FBO nomination receiving the first prize and becoming the best FBO in Europe. Roman Starkov, the founder and co-owner of the company, received the award on behalf of Flight Consulting Group, which comprises FBO RIGA. The award was introduced for the first time, but the ceremony was organized at top level and selection of winners was absolutely objective. Over 2000 professionals voted for the best in online voting. The jury is worth of special attention – among its members are Dagmar Grossman (Founder of CEPA), Anna Serezhkina (Executive Director of RUBAA), Fabio Gamba (CEO of EBAA) as well as know journalists of the industry. “For FBO RIGA the receipt of the Sapphire Pegasus is an important event and a new stage of recognition at the market as a leader of service provision to companies and passengers of business aviation. It is important that the award is an international one, and companies from Europe and Russia participated. This reflects the high level of interaction between the markets and importance of collaboration”, underlined Leonid Gorodnitsky, Flight Consulting Group co-owner. We are always happy to welcome qualified and talented specialists to our team who are willing to contribute to the development of the holding and grow along with it. We invite both young enthusiasts and acknowledged leaders who are ready for new challenges and achievements. Please familiarise yourself with the career opportunities at Flight Consulting Group. Send us your application and join our team of professionals! Sorry, but we do not have any open positions at the moment. Please submit your application if you want to become a part of FCG Holding team and we will consider your request. The work and ongoing projects of Flight Consulting Group Holding and its companies are highly appreciated among professionals in business aviation, as well as other areas. The International Standard for Business Aircraft Handling (IS-BAH) was developed by IBAC and implemented in 2014 adding to the successful IS-BAO safety standard for business aviation. Currently 89 organizations are listed as IS-BAH registered. FBO RIGA has become the first FBO in the Baltic States who demonstrated its conformity to the standard and who received the IS-BAH certificate. For more information follow the link. On April the 8th, 2016, in Prague, the Czech Republic, the Sapphire Pegasus Business Aviation Award ceremony took place. The winners were specified by a competent jury – among its members are Dagmar Grossman (Founder of CEPA), Anna Serezhkina (Executive Director of RUBAA), Fabio Gamba (CEO of EBAA) as well as know journalists of the industry as well as on-line voting on the award dedicated web site: over 2000 professionals voted for the best companies. On March 10, 2016, Riga hosted the ceremony where the winners were chosen and awarded with the Annual Latvian Construction Industry Award. In nomination of New Construction or Modernization — Logistics and Production Centre — the first place was awarded to an hangar of FBO RIGA. This emphasizes uniqueness of the hangar, which enables, first, to easily hold up to 5 BBJ, or 9 G550 as its inner area for aircraft accommodation reaches 6,700 square meters; second, to reduce the time needed for each operation and, third, to ensure significant energy saving, and, finally, to ensure compliance of the hangar with the most stringent safety requirements. The aim of the contest is to determine the best elaborated and constructed projects in Latvia by criteria of long-term development. In nomination of New Construction — Public Facilities — the third place was awarded a boutique terminal of FBO RIGA. 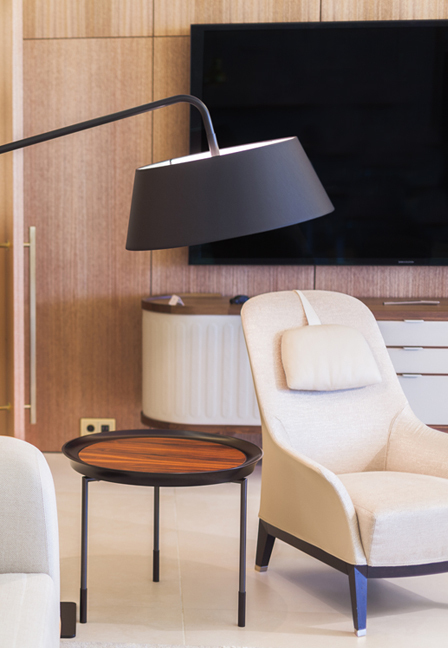 When developing the project, a modern concept of the boutique terminal was chosen, which implies exclusive services, unique interior design, and exceptional functionality. 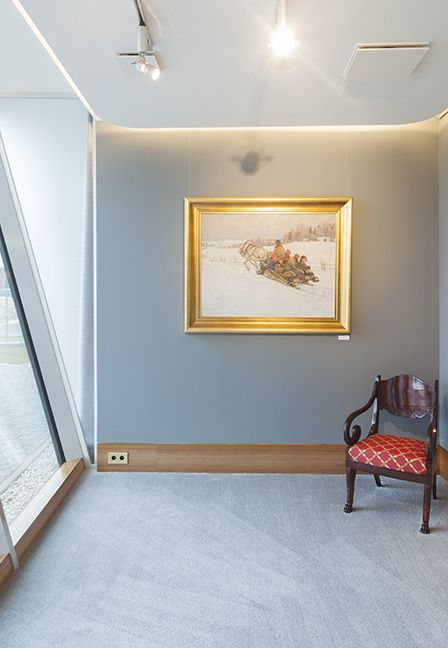 Interior design is made in the style of modern classics upon the project by Zane Tetere, one of the most successful designers of Latvia. As well FBO RIGA passenger boutique terminal features a unique architectural solution. Due to the irregular shape of the building, the terminal harmonizes with the massive hangar in a way that creates a single architectural motif. FCG OPS is certified 24/7 dispatch center for flight planning and coordination worldwide. 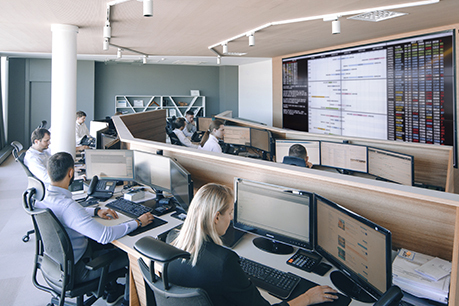 FCG OPS is one of the largest European operational control center providing international trip support and dispatch services. It is being successfully audited by Austrian, Swiss, Maltese, German and other air operators and CAA. More than 90 aircrafts are performing flights across the globe under FCG OPS dispatch. Route calculation and optimization by navigator, OFP package preparation, FPL filing with ATC, flight coordination, CFMU slot management, MVT control. Full range of ground services: airport handling, customs/immigration, slot/PPR, passenger facilities, catering. Own ground staff in Baltic, Scandinavia and CIS. Survey for the best fuel price for every flight using special direct contracts with numerous global and local fuel suppliers worldwide. Exclusive volume based rates. Worldwide overfly and landing permit obtaining directly from Civil Aviation Authorities including urgent, ambulance, charter and cargo flights. FBO RIGA is a part of Flight Consulting Group and operates at Riga International Airport since 2000 and has more than 18 years of experience in ground handling of non-scheduled flights. Ultra-modern Business Aviation Center was opened in September 2015. 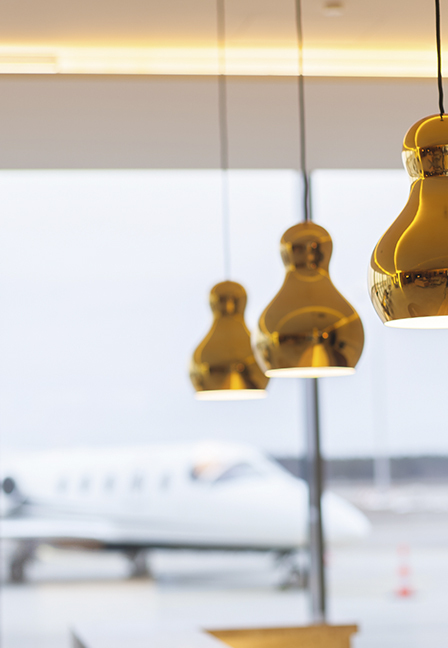 FBO RIGA became an absolute leader in Handler / service Provider / FBO nomination receiving the first prize of Sapphire Pegasus Award and becoming the best FBO in Europe. It is the first FBO in the Baltic States that demonstrated its conformity to the business aviation ground handling standard and received the IS-BAH certificate. FBO RIGA continues its development providing new services for its customers. The new subsidiaries has been operating since June 1st, 2018. The FBO RIGA terminal is used both for servicing business aviation passengers and holding international meetings, presentations, and premium events. 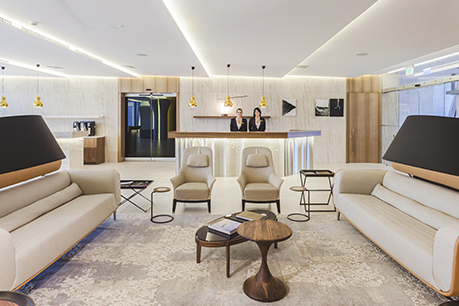 The terminal is equipped with six comfortable boarding areas, two VIP meeting rooms equipped with a state-of-the-art infrastructure, a classy bar and a art gallery. Plane parking stands and the helipad are within just 10 meters of the exit to the apron. A separate area with work and recreation rooms for flight crews is provided for in the terminal. Three comfortable rooms for crew accommodation are planned to be opened as well. The hangar is specially designed for the storage and technical maintenance of aircraft and can easily hold up to 5 Boeing Business Jets or 9 Gulfstream 550 business jets. It also provides a separate space for workshops, premises for the storage of aviation equipment, and offices for the engineering and technical staff. The opening of new ultra-modern business aviation center allows FBO RIGA to improve its customer service quality, expand its range of services, and offer even more advantageous and flexible terms for the storage and technical maintenance of aircraft in Riga. Exclusive and the only commercial helicopter service provider in the Baltics. Our goal is to bring modern, transparent and high-quality product to the market. AOC holder is GM Helicopters. Currently there are five helicopters available: Bell-429 (twin-engine, 6 passengers), Agusta Westland AW109SP (twin-engine, 6 passengers), Airbus H125 (single-engine, 5 passengers), Bell-206 (single-engine, 4 passengers) and Cabri G2 (single-engine, 1 passenger). After one year of successful cooperation with restaurant holding Resto-Rātors (provider of 18 most famous restaurants in Riga and Jurmala) we concluded exclusivity agreement and made a joint 24/7 service for business aviation. Twelve new Mercedes S, V, E-Class cars are available under our new brand. Luxury car rental is also possible in FBO RIGA. Due to permanent and increasing interest of FBO RIGA clients (B2B and B2C) in concierge services we added travel concierge professionals to our team. 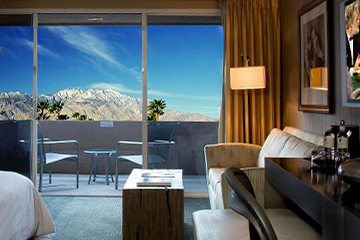 Our partners will get special conditions for Concierge and Travel services. In 2015, our company has put into service our own FBO RIGA Business Aviation Center, which has become one of the largest in the EU and the largest in the Baltics. The new business aviation center is in compliance with the highest standards of safety and customer service quality. The new FBO RIGA center includes a state-of-the-art business aviation terminal (1,200 square metres) with an adjacent car park, a heated hangar (8,400 square metres), an apron with parking stands for business jets, and a helipad. 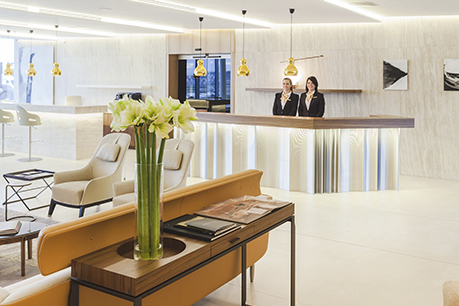 The philosophy of FBO RIGA is a personalized approach to every customer and an exceptional quality service meeting the highest international standards. FBO RIGA offers a full range of services for the ground handling of aircraft, passengers, and flight crews of charter and business aviation flights at the Riga International Airport. Business aviation operators and business jets owners are welcome to take advantage of our company’s attractive offers for the stationing and storage of aircraft at the new FBO RIGA Business Aviation Center. FBO RIGA understands and highly appreciates the uniqueness of each of its customers; therefore, we shall be happy to develop a personalised jet stationing solution for you with the necessary range of services. The full range of ground handling services is provided at the Riga International Airport: for aircraft, refuelling, watering, loading in-flight meals, placing the aircraft into the hangar, cabin cleaning and more; for passengers, passport and customs control, flight check-ins and others. We offer attractive prices and conditions for the parking of aircraft on the apron at the FBO RIGA terminal: perfect availability for crews, engineering, technical and other aviation equipment on the apron, convenient logistics services. The terminal includes several recreation and briefing rooms for crews. Moreover, the following amenities are at the crew’s service: washing machine with a dryer, refrigerator, dishwasher, tea, coffee, water, ice, fresh newspapers and boxes for personal belongings. We offer competitive rates for refuelling with Jet-A1 fuel. FBO RIGA possesses all the necessary equipment for the ground handling of aircraft, such as ground power units, towing/push-back tugs, oxygen supply stations, as well as WC service, potable water service, tire pressure check and other equipment. Treatment of all kinds of aircraft with de-/anti-icing liquids. Fuselage washing and an all-round cleaning of the cabin, the cockpit area, and the luggage compartments. JET TRAVEL is IATA certified 24/7 travel agency specializing in services for business aviation crew members. JET TRAVEL provides services for more than 100 business aviation companies on permanent support. Specialization on this area allows to provide the most suitable and comfortable services designed especially for crew members taking into account operations specifics. JET TRAVEL provides 24/7 travel services using professional booking systems and adjusting service package for individual needs. Passenger limousines, helicopters and crew transfer (including car rental) arranging worldwide, trip monitoring and adjusting with flight schedule. Most suitable hotel offers especially for crew needs (taking into account distance from airport/city center, local environment), numerous of direct contracts. Travel route planning using special tariffs for air tickets, ferries and railway, complex route optimization and comparison from several sources. 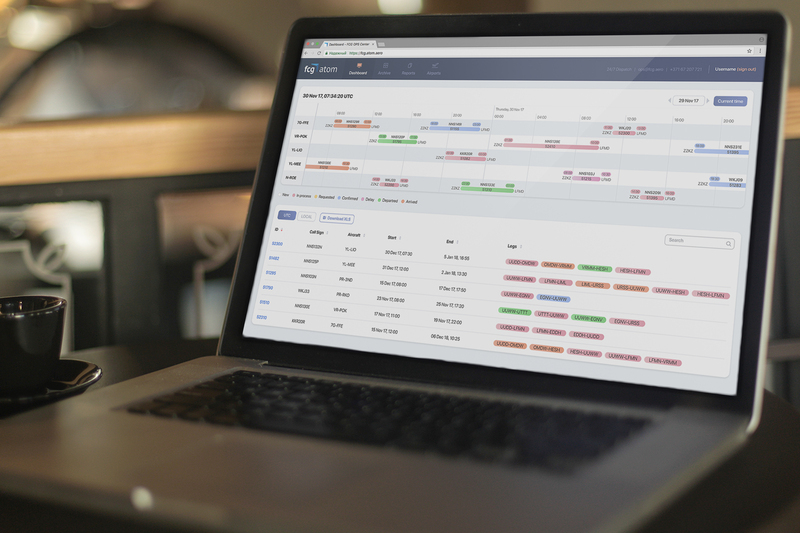 ATOM platform combines functions of ERP, CRM, flight management, reporting and business analytics. ATOM is unique IT platform produced for FBO and OCC needs. It is incorporating the functionalities of ERP (enterprise resource planning), CRM (customer relationship management), flight management, reporting and business analytics. The system allows to incorporate the work of all the holding’s departments, partners, and customers. ATOM is not just state-of-the-art IT platform – it is our philosophy, working principles and know-how based on many years of experience. All your flight details right at your fingertips! Storage of necessary information and documentation on customers, suppliers, airports, etc. FCG Aviation Development is an expert in the engineering design and development of business aviation infrastructure. Provides a professional support in recruitment and training, certification and licensing. FCG Aviation Development is an expert in the engineering design and development of business aviation infrastructure. The company has successfully implemented several international projects, one of them is construction of the new FBO RIGA business aviation center at Riga International Airport. FCG Aviation Development specialises in the implementation of turnkey infrastructure projects in the business aviation area and assists companies in matters of personnel selection for training and certification and licensing of the activities. This phase is necessary in order to obtain a detailed picture of the current situation, specification of the customer’s wishes, and analysis of the utilised technologies, procedures, and management practices. Drafting of a concept and configuration of the full range of technological functions, planning, design, construction, and commissioning of the infrastructure facilities (hangars, terminals). Drafting of a schedule, selecting specialists with the necessary qualifications, building a team by areas of activity. Conducting familiarisation training for the selected personnel. Working out the matters of certification and licensing of activities and personnel in order to obtain the necessary national and international permits/approvals. Flight Consulting Group Holding provides comprehensive solutions in the business aviation area.